Responsive Video Player is highly customizable Wordpress gallery plugin with lots of adjustable features. It support self hosted video, Youtube and Vimeo content. 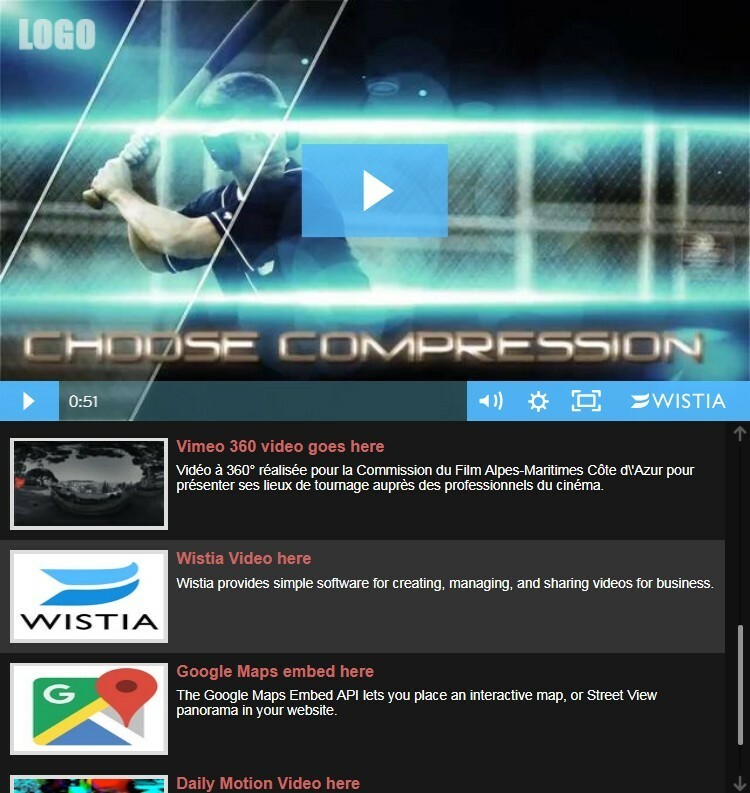 Also provides ability to display any custom iframe like Wistia video, Dailymotion, Google Maps etc.. Using wordpress admin create unlimited number of playlists and players. Playlists can be mixed with different media together. Player style can be changed over plugin css file.